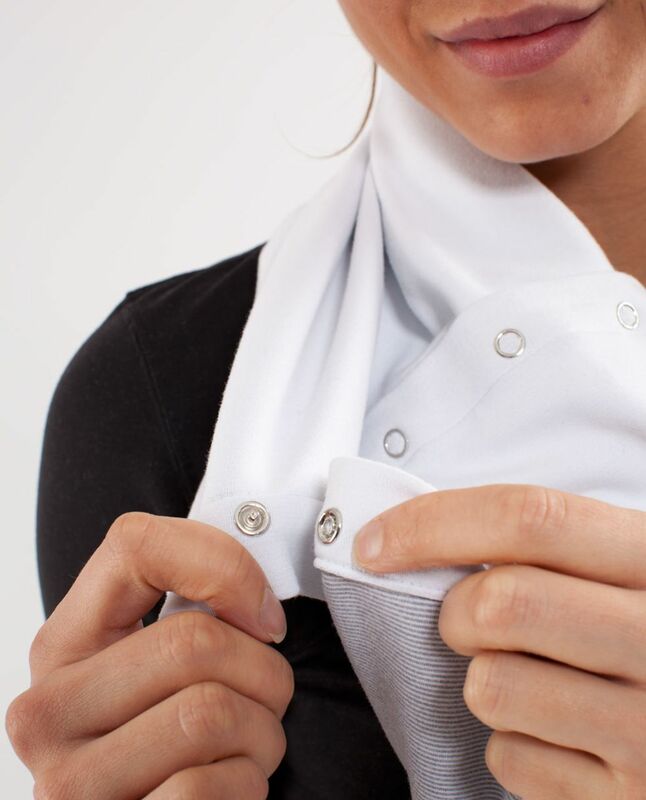 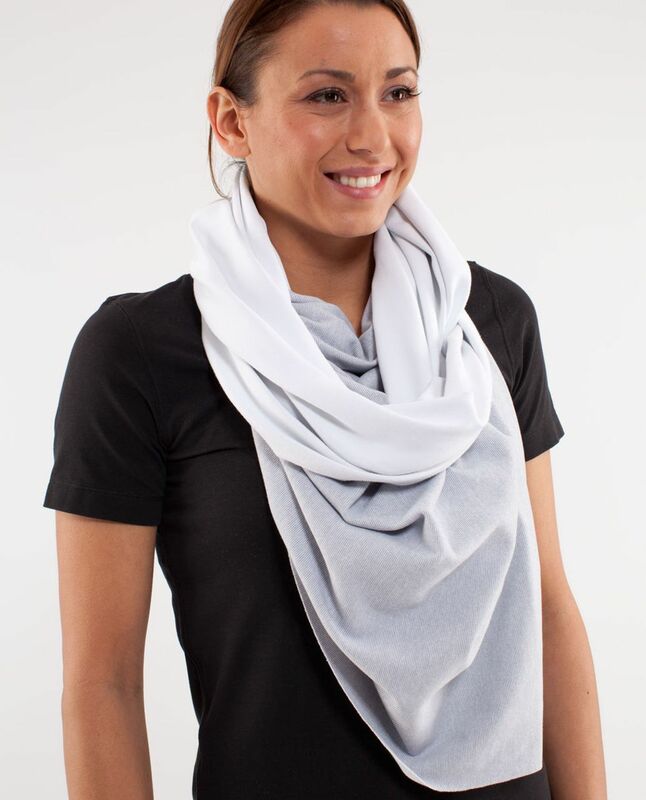 We designed the Vinyasa Scarf with snaps on either end so we could wear it done up or undone, wrapped or unwrapped. 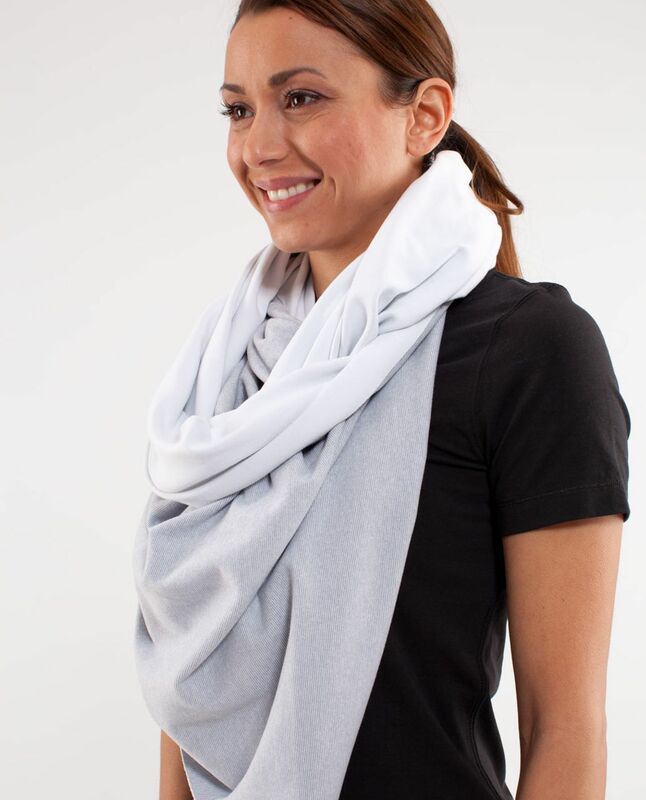 Keep it close and cozy around your neck or soft and snug around your shoulders. 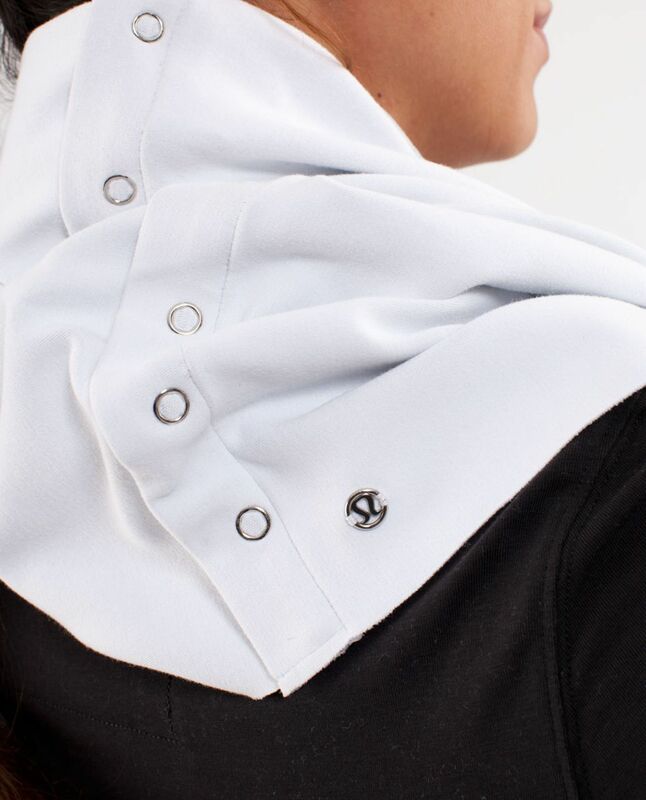 Perfect to wear on the way to class, warming up, cooling down, or on the way home.